* Please Note: Thumbnail image depicts weather cover in use with wind deflector, sold separately. 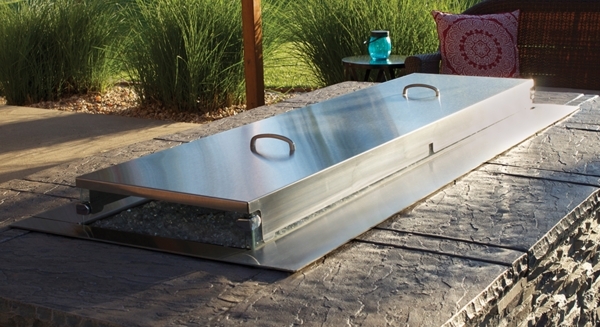 The Stainless Steel 60-in Linear Weather Cover - For Carol Rose Fire Pits (OL60TP10 and OL60TP18) will protect your beautiful fire pit for years to come! 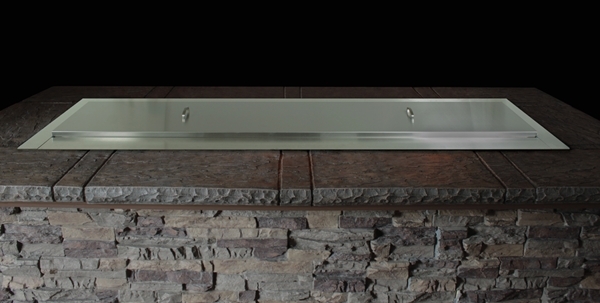 It's made with durable stainless steel construction and prevents precipitation and debris from damaging the fire pit components when not in use; it fits your fire pit perfectly! The attractive weather cover has dual grab handles which provides easy installation and removal. It can be used in conjunction with the WG604LT wind deflector kit.